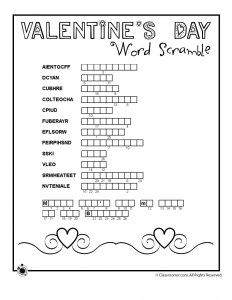 We’ll kick off with three Valentine themed word puzzles: a word search, word scramble, and letter cryptogram. 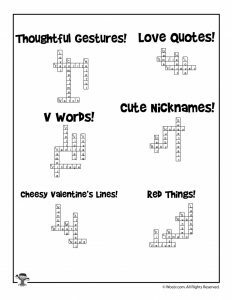 Printable activities like these are great to print out for classroom parties as a way to sneak a little educational fun into the school day. 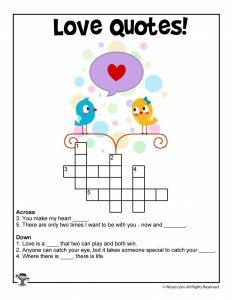 But scroll down for tons of new Valentine’s Day word puzzles we’ve added since this page was first published! 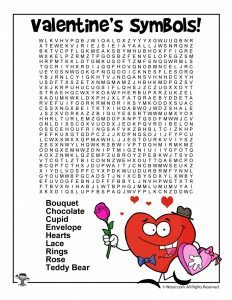 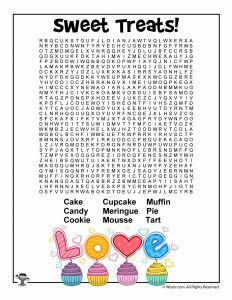 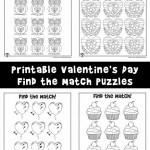 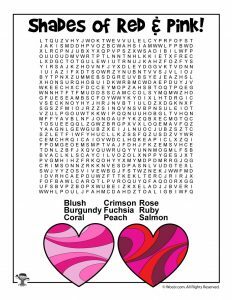 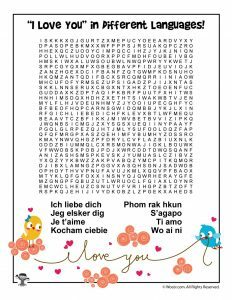 New this year – 6 more Valentines themed word searches to print for kids. 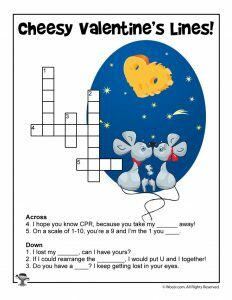 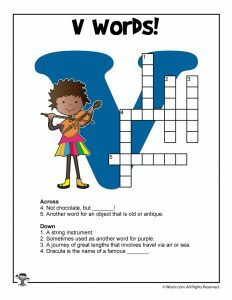 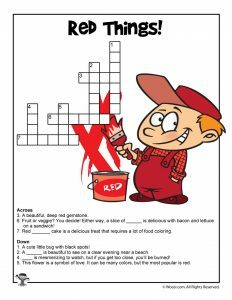 Also new this year, 6 cute printable crossword puzzles that are easy enough for young children who are just getting started with word puzzles. Many people consider Valentine’s Day to be a “Hallmark holiday,” meaning that it was developed so that Hallmark could sell cards and candy. 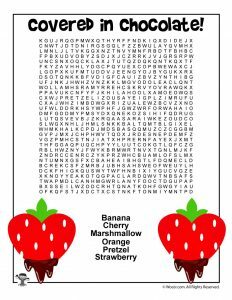 That may be true, but it’s hard not to get caught up in the excitement of it all when you’ve got kids around. 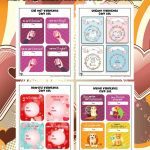 Obviously, the candy is a big draw, and most kids love exchanging Valentines. 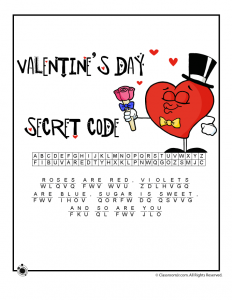 At our house, we focus on the concept of love in a bigger context than the “romantic” stuff that adults usually associate with the holiday. 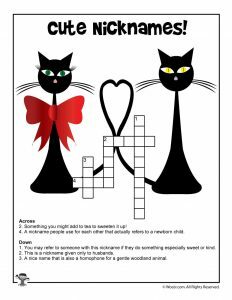 We talk about love for family, friends, animals, and the world around us. The vocabulary words used on these Valentine word worksheets can also be great conversation starters during the day when your family/class focuses on love in the big scheme of things. How do we show affection? 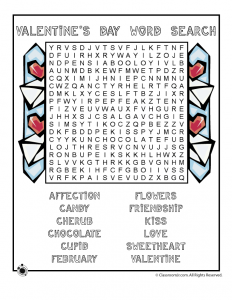 What does friendship mean to you? 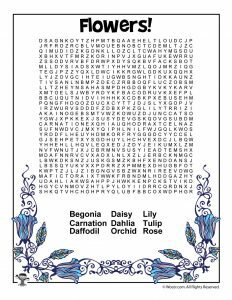 Why are flowers considered a symbol of love? 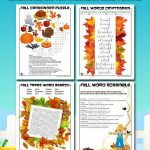 There are tons of ways to dig deeper into this seemingly superfluous holiday to make it more meaningful and support our kiddos’ emotional development, as well as their ability to find fun phrases in a word search!